Will any of Daenerys’s two dragons get killed? Game of Thrones is quickly coming to an end, and many story lines are starting to wrap up. The show will have some happy endings for some characters, but not all. 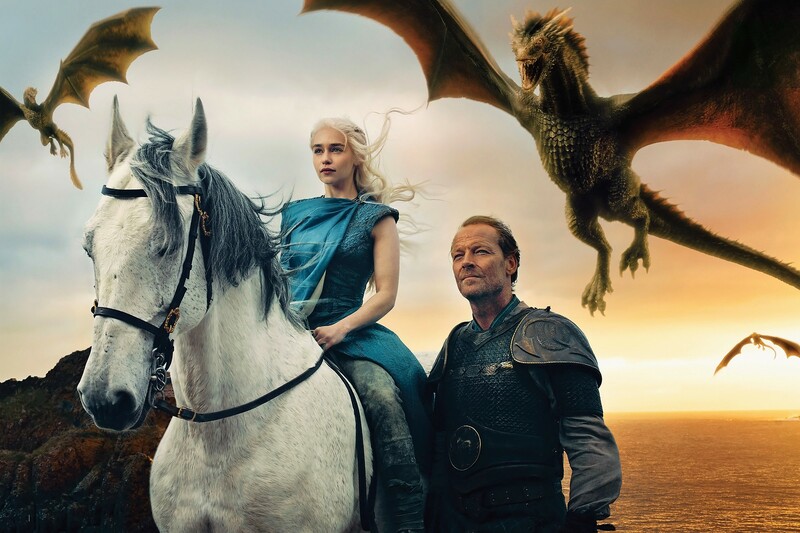 What many fans were probably not prepared for is Daenerys Targaryen’s dragons also being destined to a sad fate. We knew early on that a witch gave Cersei Lannister a prophecy when she was young. She was told that she would be a queen — only to be dethroned by a younger woman. She would also have three children all of whom would die. The death of Cersei’s children has already happened: Joffrey was poisoned by Olenna Tyrell; Tommen committed suicide; and Myrcella was poisoned in Dorne by Ellaria Sand and the Sandsnakes. Now, Daenerys has seen the first of her children dragons killed. The two queens could be potentially tied to the same fate, given how they have many other things in common.